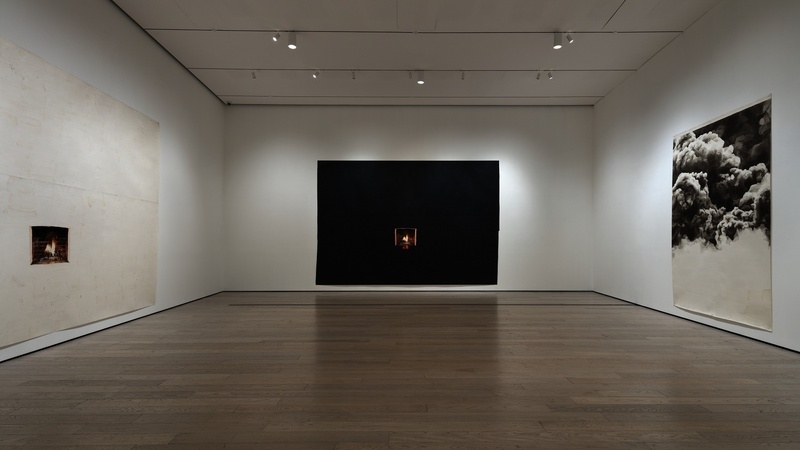 Installation ​p​hotograph, Toba Khedoori, Los Angeles​ ​County Museum of Art, September 25, 2016–March 19, 2017, © Toba Khedoori, photo © Fredrik Nilsen. 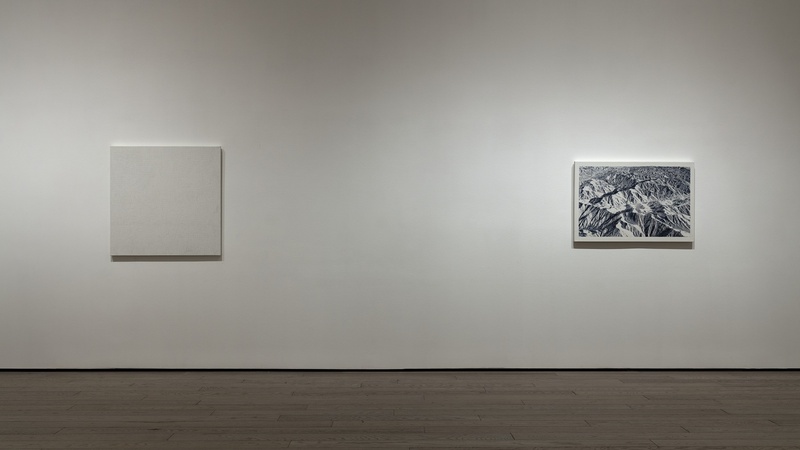 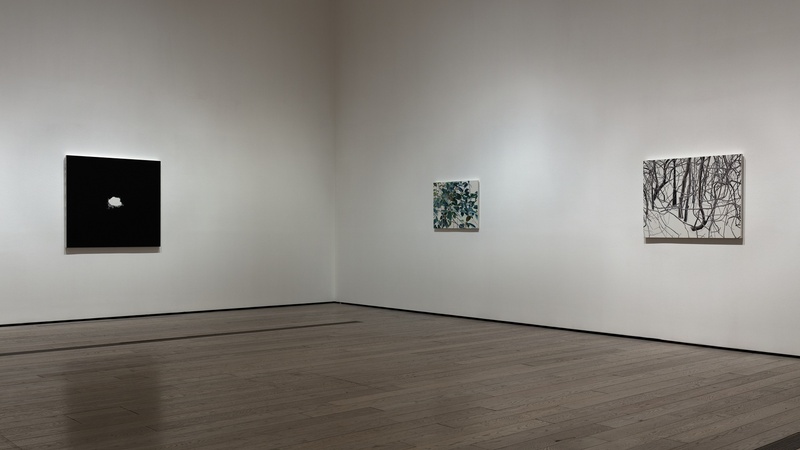 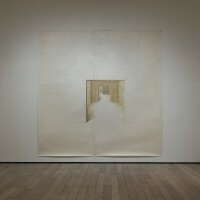 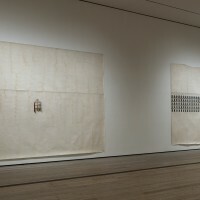 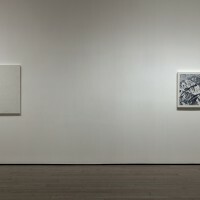 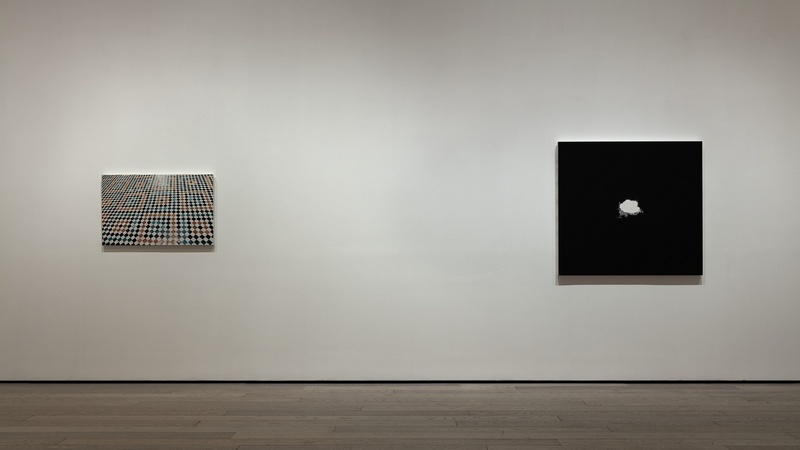 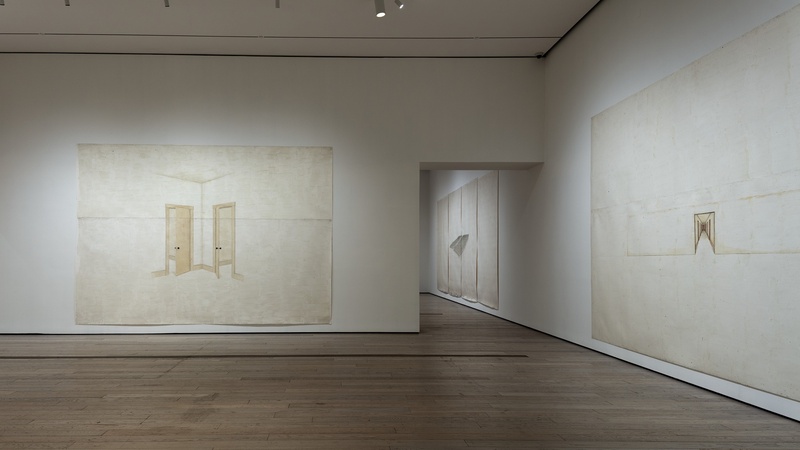 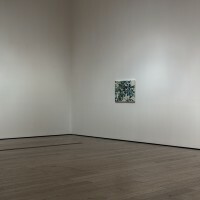 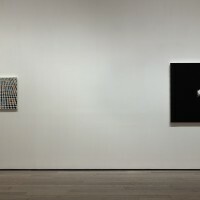 Departing from the large scale and two-dimensionality found in Khedoori’s early work, the exhibition transitions into the artist’s paintings of the early 2000s. 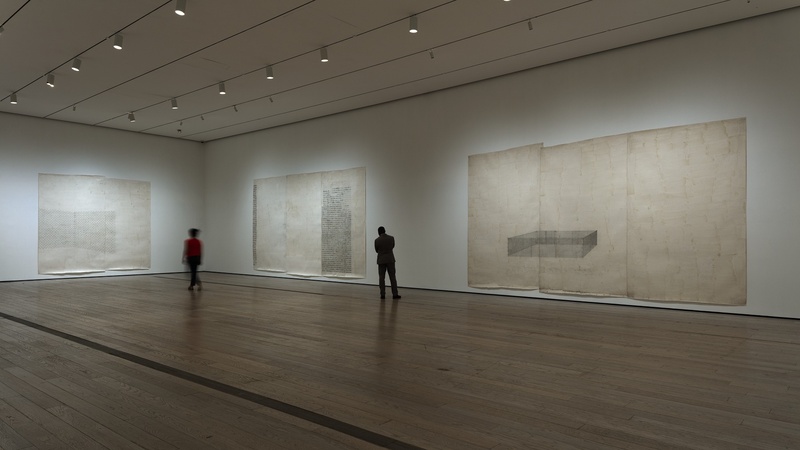 Here scale, shadows, and contrast become more varied and dramatic. 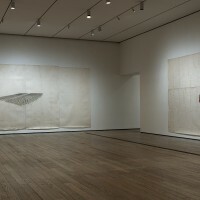 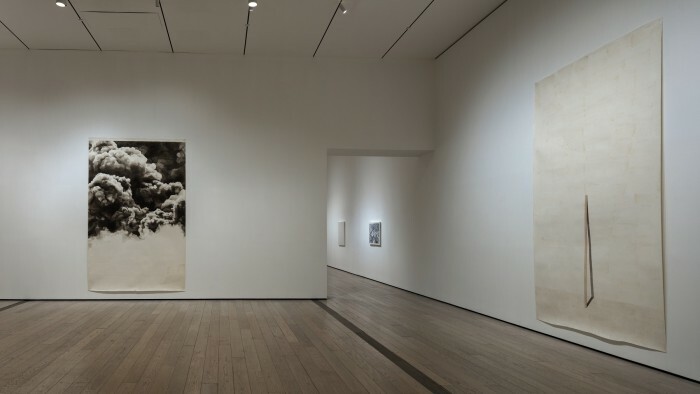 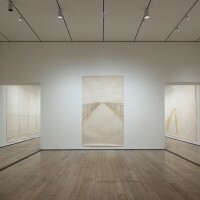 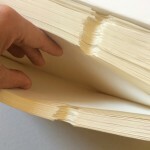 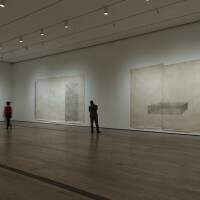 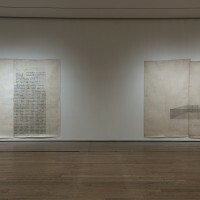 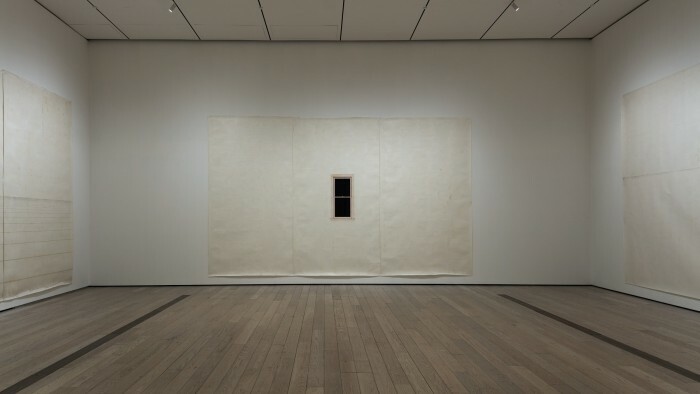 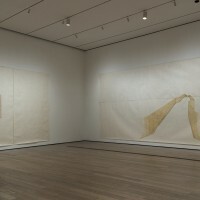 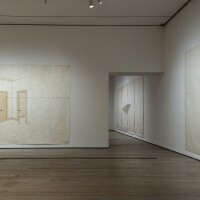 Untitled (clouds) (2005), for example, is a vertical format with its entire upper half is filled with billowy clouds while the lower half is mostly empty space. 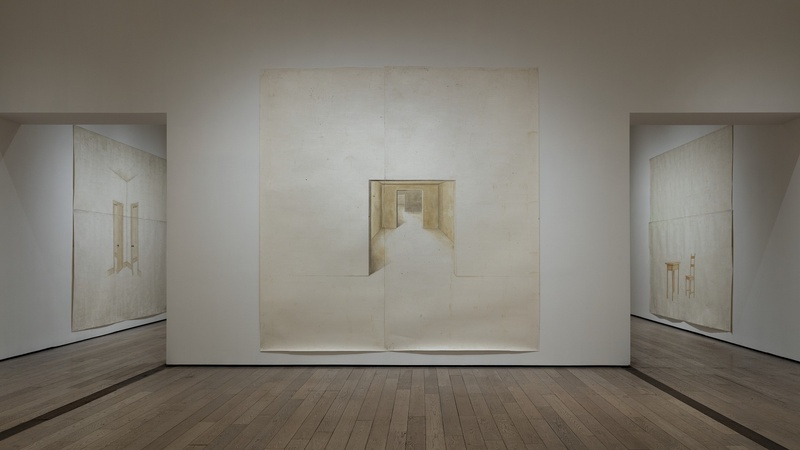 Before 2005, almost all of Khedoori’s works are horizontal, suggesting the horizon line of nature and landscapes in the history of art while creating a surprising contrast with the everyday objects shown within these frames. 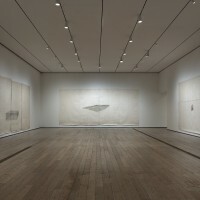 Untitled (clouds), on the other hand, is oriented vertically and the clouds occupy the frame of the picture with no sky around them. 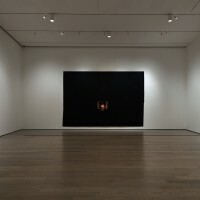 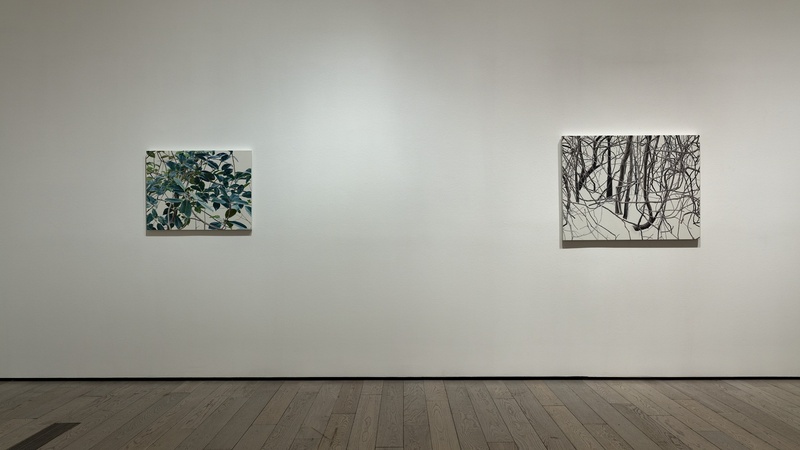 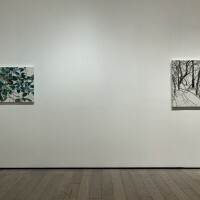 Untitled (black fireplace) (2006) and Untitled (white fireplace) (2005) feature an almost photorealist depiction of wood burning in a fireplace. 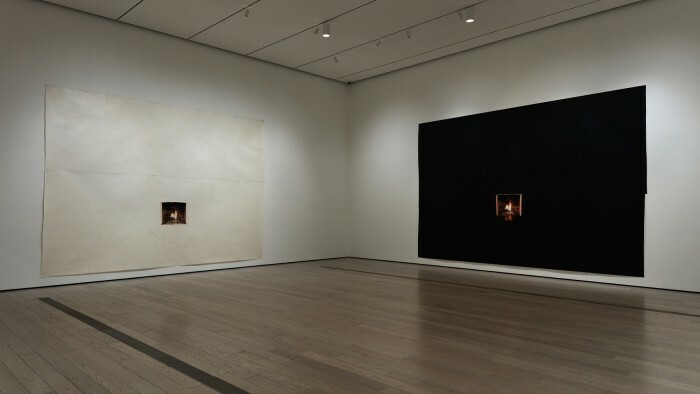 In these works, she takes the same subject and paints it twice, changing only the color of the space surrounding the image of the fireplace. 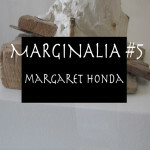 Using encaustic, she makes one work black; the other is simply oil and wax on paper, like her earlier works. 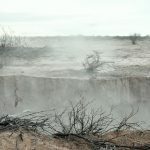 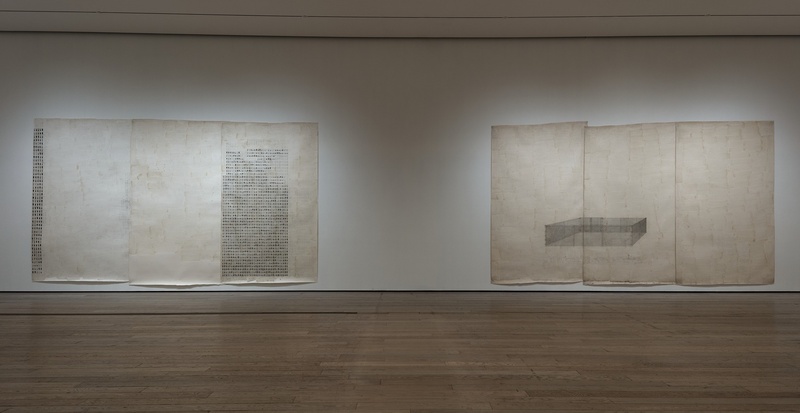 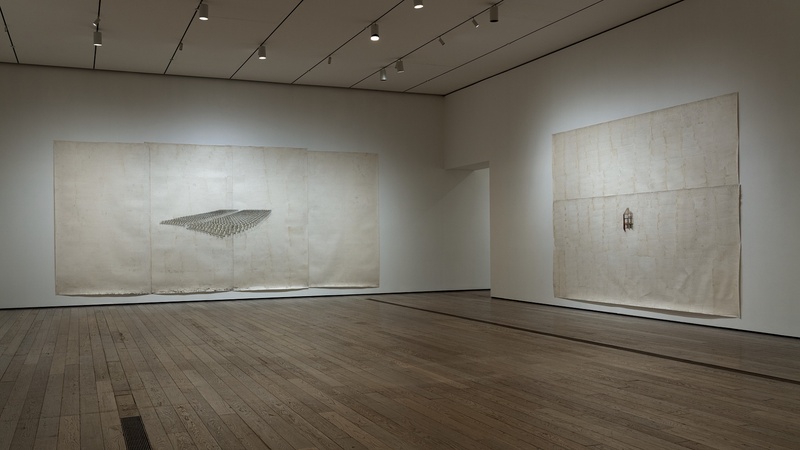 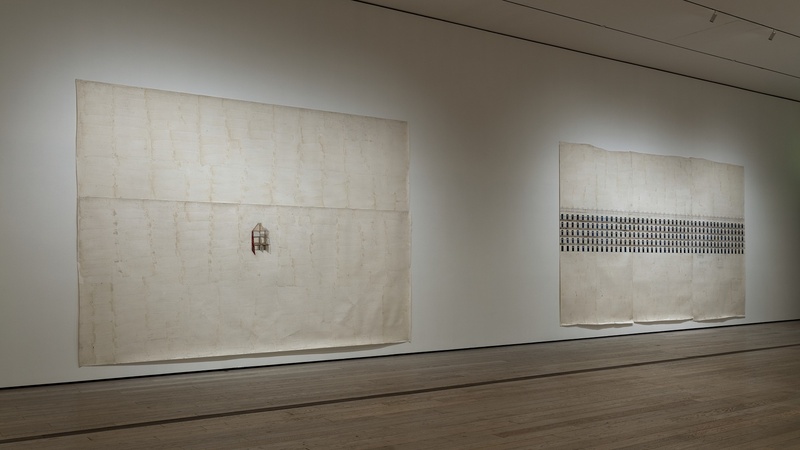 Through this contrast, she encourages viewers to examine these differences, inviting them to question the copy in a world where the idea that something cannot be reproduced has long ago vanished.